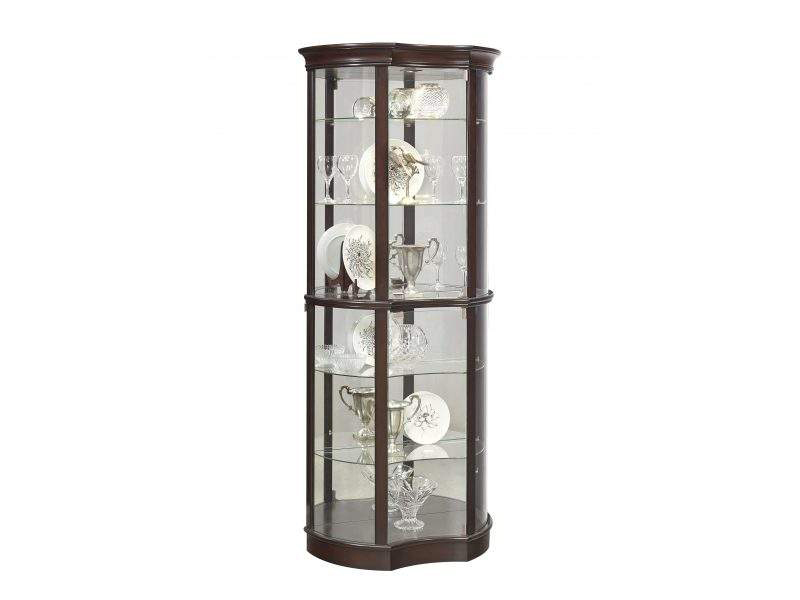 The unique Curved shape of this curio makes it unlike anything else. The display itself will become an art piece in your home. The Sable finish is dark and luxurious, white the glass shelves and mirror back brighten up the display.